Ever walk by a pile of sticks in the woods and swear you hear someone knocking? 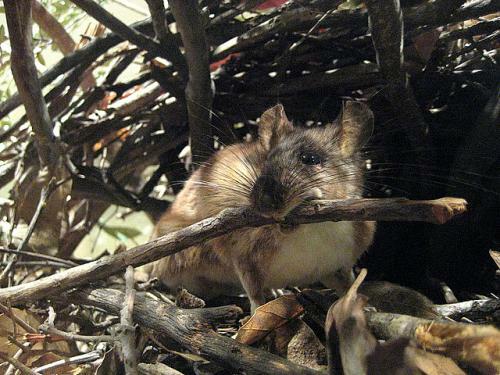 It could be a woodrat sounding the alarm by drumming its feet! That’s just a taste of what over 200 staff, scientists, students, and community members learned during the recent One Tam Wildlife Symposium this fall. Tam’s Wild Side was a follow-up to last year’s Mt. Tam Science Summit, which presented the results from a comprehensive baseline study of the health of the mountain’s natural resources. This year’s event featured some preliminary results from the Wildlife Picture Index Project, updates on new inventories of the mountain’s bats and bees, the health of several key species, and enhancement projects that will support wildlife on the mountain. In addition, a special naturalist panel demonstrated several perspectives through which we can learn about our local wildlife. Panelists weaved together ecology, illustration, soundscapes, and keen observation through a naturalist’s point of view to spotlight a common but rarely seen denizen of the mountain: the woodrat. The informative day closed with a call to action to do everything we can to protect our natural environment—and in doing so, protect ourselves. One Tam programs offer opportunities to learn about, discover, and engage with the ecosystems of Mt. Tam. View presentations from the event at www.onetam.org/peak-health/resources-downloads. Thanks to our local businesses who supported the symposium and to Gina Farr, an environmental explorer guiding kids and adults into the stories of wild Marin, for the above woodrat clip! MMWD and San Francisco State University have begun studying the bees of Mt. Tamalpais. This is the first time this part of Marin has ever been surveyed for pollinators. This volunteer community-science opportunity involves sorting and preparing bee specimens collected on the mountain to be sent to entomologists for further study. Researchers also will generate a historical species list and review plant species currently known to be extirpated or declining, to identify potential pollinator species at risk. They will also seek to understand changes in bee composition relevant to MMWD’s Forest Resiliency Project, and whether fuel break work opens up the landscape for bee populations to increase. The team has chosen sites with high wildflower diversity, a good predictor for pollinators. The sites will be sampled again in five years to study species increases or decreases. However, information from this will be immediately useful to land managers; the data sampling method aligns with methods used nationally, so the data can be compared to sites across the nation. The team may even encounter new species of California pollinators! Saturday, January 13 and Saturday January 27; 9 am–Noon. Meet at MMWD office in Corte Madera. Ages 13 and up. 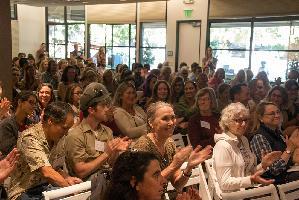 RSVP to volunteerprogram@marinwater.org is required as space is limited. We are pleased to announce that a new cadre of interns has joined One Tam to support our programs this fall. 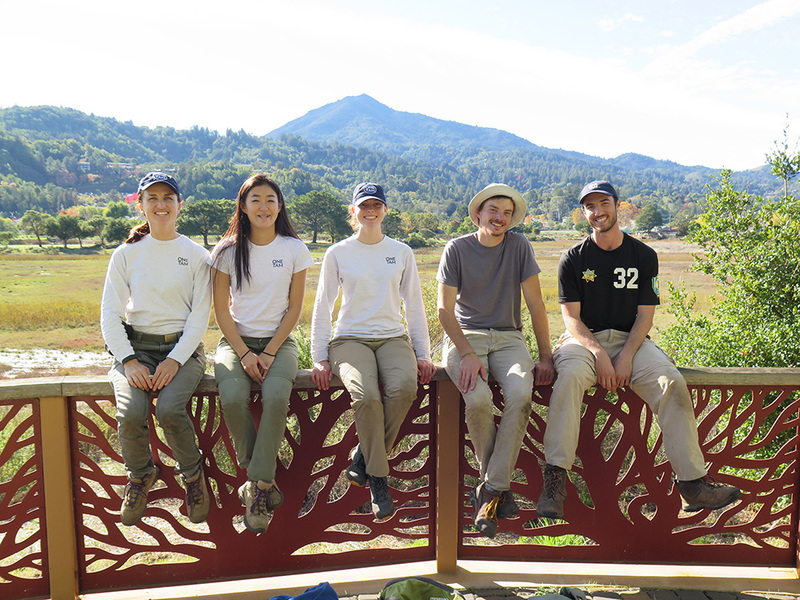 Please welcome Jasmine Inouye (second from left), Erin Lacour, and Isaac Kreger (third from left), who will be working with our staff on community science, restoration, trails, and youth programs. The photo also includes Restoration Program Manager, Rosa Scheider (far left), and Laurens Kuypers (second from right) who we are thrilled to have continue his internship through the spring. They’ll be pleased to make your acquaintance on the mountain! 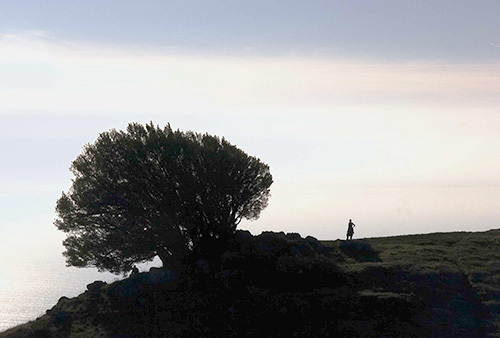 If you are familiar with One Tam, then you likely know that it is the community initiative of the Tamalpais Lands Collaborative (TLC)—a partnership of the four agencies managing lands on Mt. Tam (Marin Municipal Water District, Marin County Parks, California State Parks, and the National Park Service) and the nonprofit Golden Gate National Parks Conservancy. The TLC is the subject of a first-of-its-kind longitudinal study to assess the benefits, value, and impact of its land stewardship partnership. The study is using both quantitative metrics and a qualitative assessment to deepen an understanding about the value of land stewardship collaboratives. An independent researcher from Sacramento State University and the social scientist who prepared the three TLC Case Studies are currently undertaking the final year of the study; preliminary findings suggest that the partnership adds much value to the work of caring for the Mt. Tam region. For example, early findings indicate that levels of collaboration, resource-sharing, and trust among the five partners are significantly higher than they were before forming the TLC. The final report with complete findings will be available for download at the end of 2018. Ultimately this work will strengthen the work of the TLC, and inform the growing field of land management partnerships. Does Mt. Tam Make Your World A Better Place to Be? Join your community of mountain lovers and become a member of One Tam today! Thanks to member support, One Tam is addressing many threats facing the precious resources on the mountain and introducing young people to the wonders of Mt. Tam, ensuring the mountain will be protected for generations to come. We can’t do this work without you. Please join us, or renew your support today at onetam.org/join. 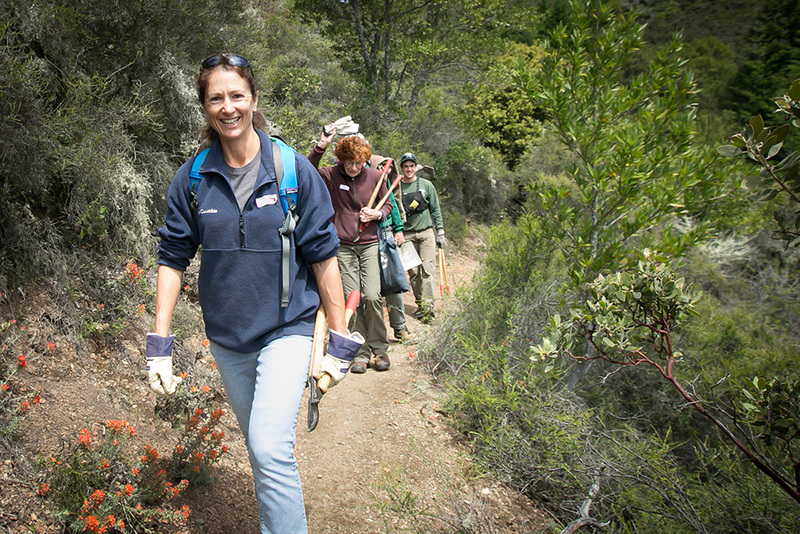 Membership comes with Barry Spitz's latest edition of Mount Tamalpais Trails -- which, also makes a great holiday gift!To those of you have supported One Tam projects and programs, THANK YOU! 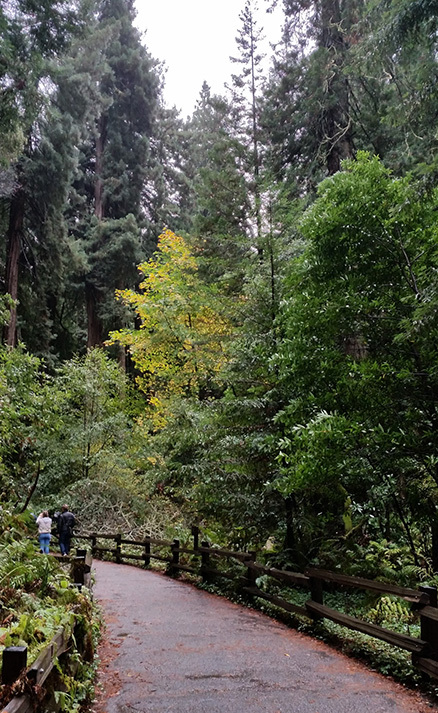 This winter, One Tam and Mill Valley Parks and Recreation are partnering to offer a new way for residents to connect to Mt. Tam. Through Nature Space, participants can learn more about the area’s amazing natural resources and wildlife, meet local naturalists and scientists working in the region, and pitch-in on habitat restoration. There are a variety of ways to get involved—and get inspired by the mountain that gives our communities so much. Check it out in Mill Valley Recreation’s winter activity guide, or check onetam.org/calendar for more event details. 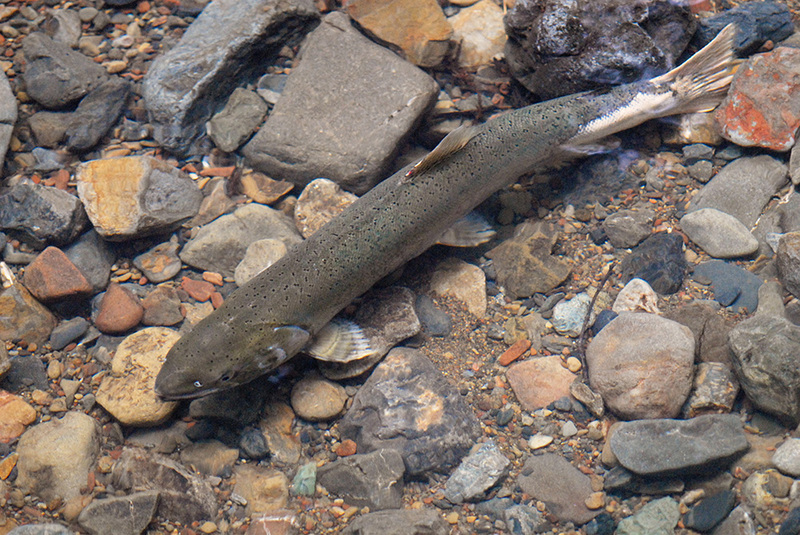 One Tam partners are taking action to support Redwood Creek’s coho salmon. Rock placed in the creek decades ago prevents the stream from functioning naturally and forming the habitat necessary for young coho to survive. Currently, managers are looking to improve conditions in the creek by removing some of this rock (also known as riprap) and allowing more complex habitat to develop. Fallen trees will also be relocated into the creek to help create habitat where young fish can survive. Redwood Creek runs at the southern end of coho’s range, which spend part of their life in the open ocean but return through Muir Beach to spawn in the creek. Mt. Tam’s coho have been severely reduced in numbers by habitat loss. Your friends at One Tam wish you a safe and happy holiday season! Thank you for your support of and interest in our work to protect Mt. Tam's resources and engage communities in stewardship. We hope to see you on the mountain in 2018!